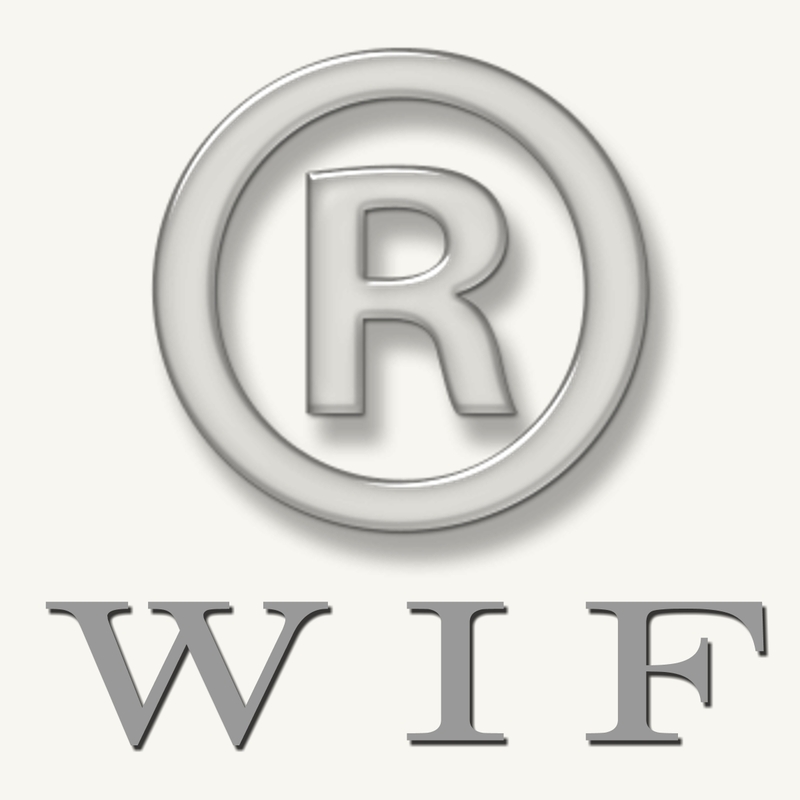 A trademark usually presents itself in the form of a name, a logo, a design, or a phrase, with the purpose of distinguishing one manufacturer’s products from another. Sometimes, however, when business is really good for a particular brand, or it has a head start over the competition, then that particular brand might just become a proprietary eponym, or generic trademark. 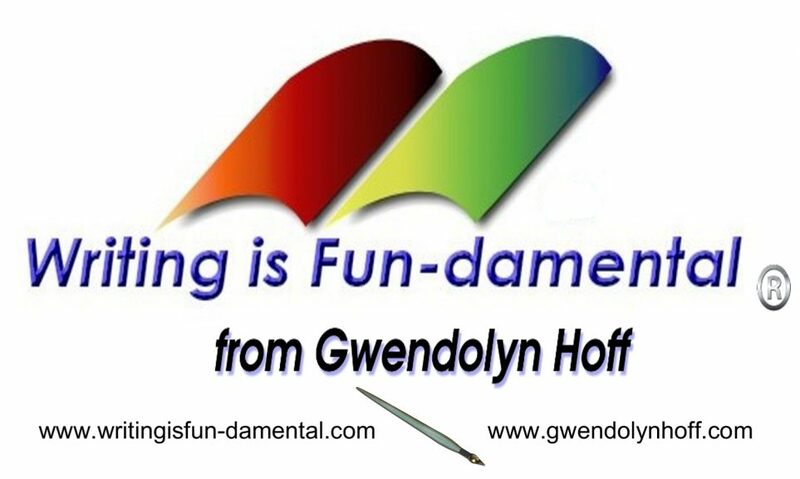 This means that if a product develops a substantial market share over the other manufacturers, or it becomes well ingrained into the public consciousness, then its brand could replace the name for the entire industry. Take Xerox, for instance. When it comes proprietary eponyms, Xerox may be the one most often given as an example. Xerox is actually a corporation that sells a variety of things, among which are photocopiers. But that ‘Xerox machine’ from your work may not, in fact, be a Xerox after all. And Xerox is not alone; Google, Pampers, and Tupperware are just a few other similar brands that have become proprietary eponyms. But while these are fairly well known as actual trademarks, there are a lot of others out there – so common and so widespread – that chances are that you might have never guessed them to be brand names in the first place. To be fair, though, some have since lost their legal protection as trademarks and are now considered to be part of the public domain. If you’re not familiar with the term, or even with what dry ice actually is, you may not be alone. Nevertheless, if you’ve ever been to a Halloween party, a nightclub, or a theatrical play, and there was some sort of ground-level mist involved, then there’s a chance you were close by to where dry ice was being submerged in hot water. There are several other means of producing that sort of fog (like liquid nitrogen, for example) but dry ice works almost equally as well. It’s cheaper, too, so there’s that. In any case, the entertainment industry isn’t the main business for dry ice – it’s refrigeration. Sometimes known as Cardice, especially by the British, dry ice is actually solid CO2. 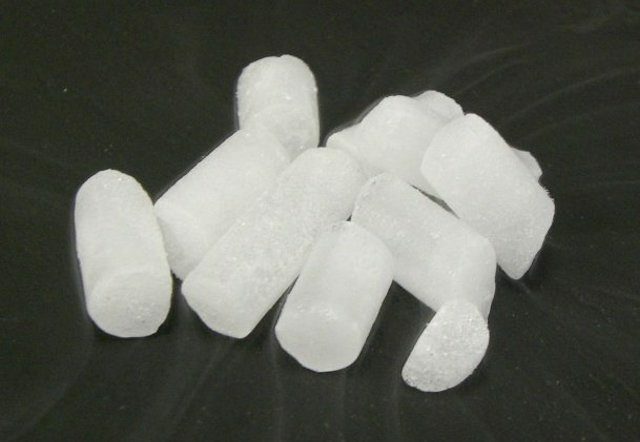 Because it’s much cooler than regular ice, dry ice makes for a great refrigerant, especially when mechanical cooling isn’t possible or required. This means that you’ll oftentimes come across it when dealing with ice cream street vendors, or people carrying around organs or other biological samples. Because it doesn’t alter quality or taste, dry ice is frequently used to instantly freeze various foods and oils. Firefighters sometimes use it to extinguish fires and plumbers utilize it to flash freeze some water pipes. You’ll find some in school labs on occasion, or when people try to preserve ice sculptures. You can also use it as bait for mosquitoes and bedbugs, since these insects are drawn to CO2. Just sayin’. Dry ice was discovered back in 1835 by the French inventor Adrien-Jean-Pierre Thilorier, who described it in one of his works. In 1897, an Englishman by the name of Herbert Samuel Elworthy received a patent for solid CO2 and used it to create soda water for his whiskey. But the device he invented was so big and cumbersome that people rarely used it. It was Thomas Benton Slate, an American businessman, who really took advantage and in 1924 applied for a patent in the US. One year later, he founded the DryIce Corporation of America and began selling solid CO2 under the trademark of “Dry Ice.” The other name,Cardice, short for carbon dioxide ice (the one the British are more familiar with) is also a registered trademark of Air Liquide Ltd. in the UK. By the 1920s, Johnson & Johnson was already a well-established company that manufactured ready-to-use surgical dressings. They made large, sterile gauzes that were sealed against germs and sold in various hospitals. The fabric itself originated in Palestine, and the name gauze is said to derive from the city of Gaza, an important center of weaving in the region back in medieval times. Nevertheless, Johnson & Johnson’s gauzes, which were used solely as dressings, were the first of their kind. An employee by the name of Earl Dickson, who was a cotton buyer at the company, was also recently married to a woman by the name of Josephine. And as it turns out, Josephine was a bit of a klutz, constantly getting burnt or injured around the house – nothing serious, mind you, but enough to become a constant nuisance for the newlyweds. Her husband, being in the industry, decided to help, but the surgical dressings Johnson & Johnson were providing were too big for the minor injuries Josephine was suffering on an almost daily basis. In a moment of pure inspiration, Earl Dickson cut out a small square from one of the gauzes and stuck it to one of his wife’s fingers with a piece of adhesive tape. Knowing full well that this would not be a one-time thing, he began his own small-scale production of these… well, “Band-Aids”… to have ready around the house whenever his wife needed one. In order to keep the two adhesive parts from sticking together, as well as to keep the dressing sterile, Earl lined them with some crinoline fabric. The two soon realized that their invention had a potentially huge market, and Earl presented his idea to his boss, James Johnson. 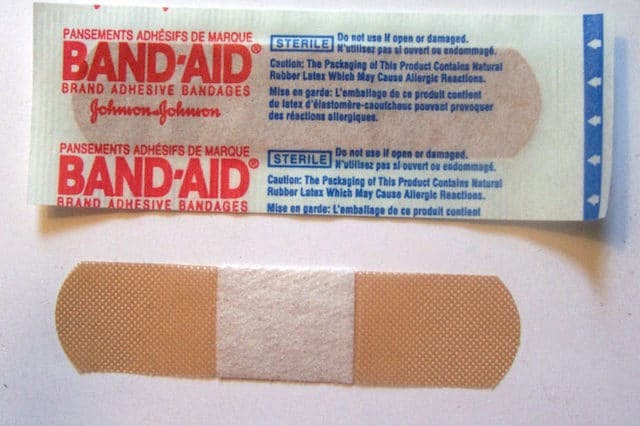 In 1924, Johnson & Johnson introduced their adhesive bandages under the Band-Aid trademark. After several more improvements, and after a genius marketing campaign of giving out an unlimited supply of free Band-Aids to all the Boy Scouts in the country, the adhesive bandage became a common household item across America. 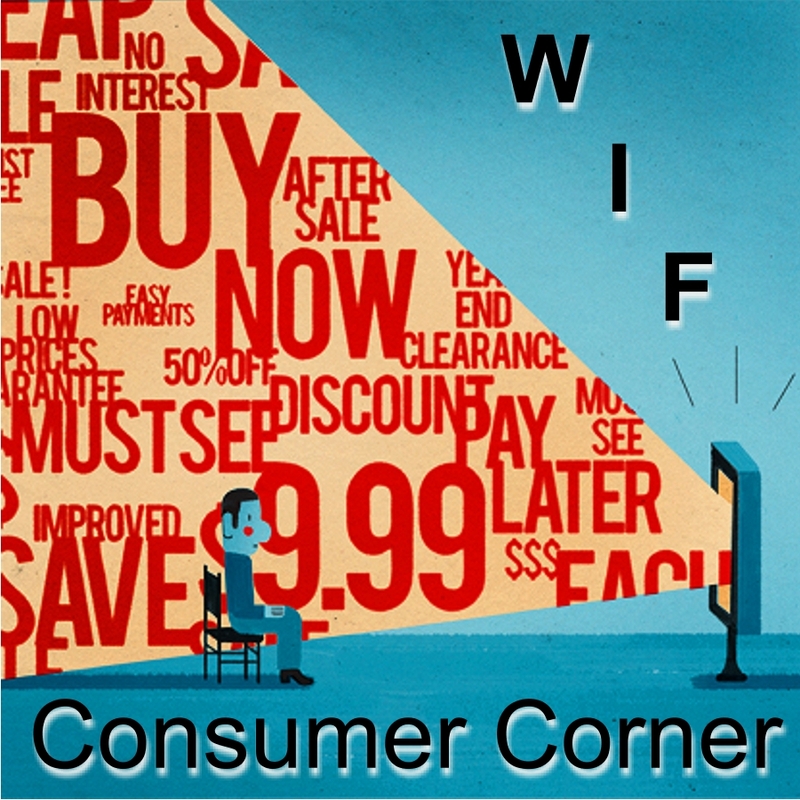 To date, Johnson & Johnson estimates that they’ve sold over 100 billion around the globe. And as thanks for his invention, Earl Dickson was given the position of Vice President at the company until his retirement in 1957.
Who would’ve guessed that the 1970s Frisbee craze began with apple pies? Well, not just apple pies, but pies in general. The story begins in 1871 in Bridgeport, Connecticut, when a man by the name of William Frisbie opened the Frisbie Pie Company. His pies became an instant hit with the students from all the universities nearby. These pies came in tin plates which the students then began flinging at each other while yelling “Frisbie!” Fast forward to 1948 and we have the “Flying Saucer,” a plastic version of those tin plates, reinvented by Walter Frederick Morrison and Warren Franscioni. The new name was aptly chosen as it was less than one year after the famed Roswell UFO incident. After the two parted ways in 1955, Morrison sold the renamed “Pluto Platter” to the Wham-O toy company. Wham-O, the company behind another well-known trademark, the Hula-Hoop, changed the flying disc’s name once again, this time to Frisbee – misspelling its original name in the process. Then in 1967, Ed Headrick, the company’s designer, added a series of raised, concentric rings on its surface, along with several other features, in order to stabilize its flight, and the modern Frisbee was born. Thanks to an aggressive marketing campaign during the late ’60s and early ’70s, when the company advertised disc-throwing as a sport, Frisbees began flying off the shelves, and Wham-O sold over 100 million units by 1977. 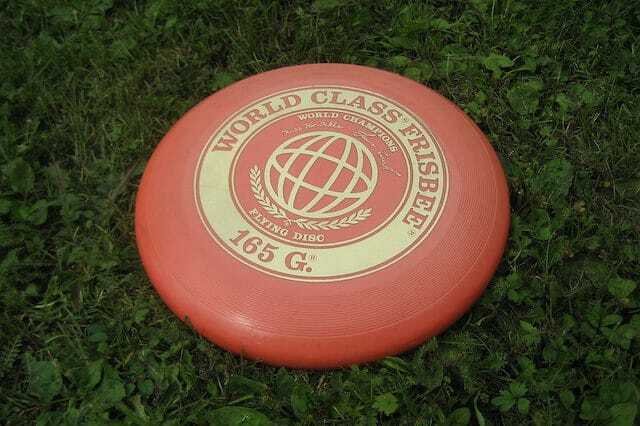 Headrick himself came up with Frisbee Golf, while some high school students from Maplewood, New Jersey, invented Ultimate Frisbee. Today, millions of people worldwide throw flying discs around – not all of them being original Frisbees, of course. As of 1994, Mattel Toy Manufacturers are the owners of the trademark, after buying it from Wham-O. According to a 2002 episode from the live-action TV series Star Trek: Enterprise, it was actually the Vulcans – an extraterrestrial species – who, during the 1950s, anonymously introduced humanity to the wonder of technology that is Velcro. Now, after some thorough investigation on our part, it seems that there are some inconsistencies with that particular story. 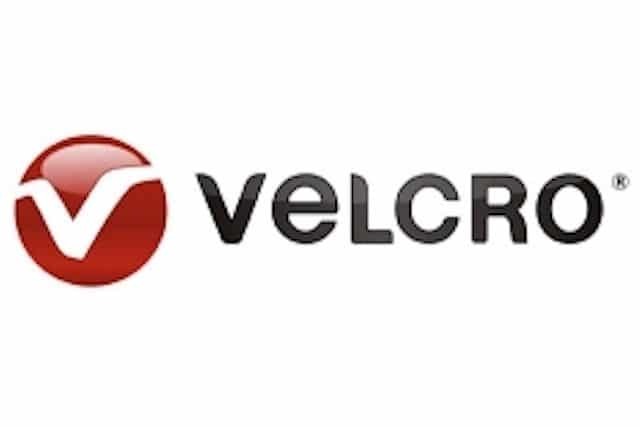 As it turns out, the trademark brand ‘Velcro’, as well as the product it represents, the hook-and-loop fastener, is actually the creation of a Swiss electrical engineer by the name of George de Mestral. And apparently, Star Trek was a work of fiction. Who knew? Anyway, in 1948, while on a hike through the woods, de Mestral began wondering how and why so many burrs clung to his pants and his dog’s fur. On closer examination under the microscope, these burrs revealed their secret. As a means of dispersing their seed, they make use of many tiny hooks that get attached to all sorts of furs and fabrics belonging to unaware passersby, and hitch a ride to another place. Nature is truly amazing in its ingenuity, isn’t it? Probably after coming to the same conclusion about nature, de Mestral began working on a fabric that would be able to mimic the same properties as burrs. Initially made from cotton, the fabric proved vastly more effective with the arrival of nylon, and de Mestral patented his invention in 1955. The word itself, Velcro, is a combination of the French “velours” and “crochet,” which in English translate to “velvet” and “hook.” He then began advertising it as the “zipperless zipper,” but his idea didn’t really catch on with the public at the time. Help finally arrived from the unlikeliest of places – NASA, to be more exact. NASA used Velcro during the 1960s as part of their space program. Thanks to the positive press it received, Velcro began being seen as the ‘space-age fabric’ and various fashion designers started using it. De Mestral sold the rights to his Velcro Company once it became successful, and even though the original patent expired in 1978, the term is still a trademark controlled by the Dutch Velcro company. As one of the oldest and most commonly used drugs around the world, aspirin is still one of the most studied even to this day. It is estimated that between 700 and 1,000 clinical trials are performed on it every year. Aspirin is also the first ever anti-inflammatory and pain reliever mentioned in history. While not technically aspirin, its active ingredient, salicylic acid, was used as early as antiquity. Various medicines derived from willow and other salicylate-rich plants were found described on scrolls in Egypt, as well as on clay tablets in Sumer, more than 5,000 years ago. Even Hippocrates used to prescribe willow leaf tea to women undergoing childbirth. During the 18th and early 19th centuries, various chemists experiment with willow bark and other plants, slowly but surely narrowing down the active ingredient. Then in 1828, a professor of pharmacy at Munich University in Germany was successful in extracting it, and called it salicin. Over the following several decades, other chemists discovered that the Spiraea ulmaria(Meadowsweet) plant also contained salicylic acid, as well as coming up with better ways of synthesizing it. While working at the German pharmaceutical company Bayer, chemist Felix Hoffmann added an acetyl group to salicylic acid and created acetylsalicylic acid. This addition reduced the acid’s previous irritant properties, and Bayer patented the process. The company then renamed this acetylsalicylic acid Aspirin and began selling it worldwide. Bayer later sold off or lost the trademark for Aspirin in many countries. The origin of the name Aspirin comes from the letter A, which stands for acetyl, and Spir, which comes fromSpiraea ulmaria (Meadowsweet). The in was a common suffix used at the time for medicine. In 1950, Aspirin entered the Guinness Book of World Records as the most commonly sold painkiller in the world. 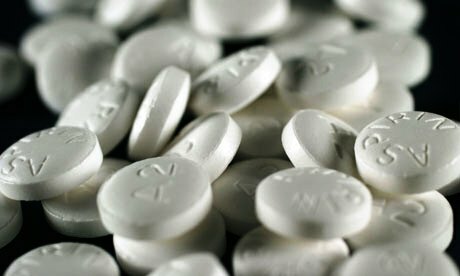 In the many trials it was subjected to since its invention, Aspirin was proven to be a great cancer and heart-attack prevention drug, if taken regularly. Do you, or someone you know, own a Jet Ski? Well, is it a Kawasaki? If it is, then yes, you have a Jet Ski. If not, then what you, or your friend, have is a personal motorized watercraft. 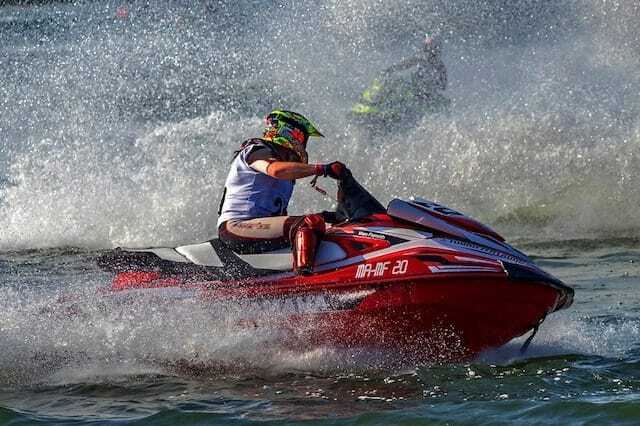 Yes, Jet Ski is a trademark belonging to the Kawasaki Heavy Industries Ltd. from Japan, and all other similar products are commonly known as personal watercrafts, even though most other manufacturers have their own trademark names for them. Now, the history behind these personal watercrafts goes back to Europe during the 1950s, when various motorcycle manufacturers were looking to expand their markets into other areas. The first name ever given to these vehicles was water scooters, and the British company Vincent produced roughly 2,000 Amanda water scooters. Unfortunately for them, however, the trend didn’t really catch on. Over the following two decades, other companies like Mival introduced its Nautical Pleasure Cruiser, but with a similar lack of success. This is when an Australian motocross enthusiast by the name of Clayton Jacobsen II designed and created his own version – but a model that would require the rider to stand up. His real breakthrough here, though, was to replace the previous outboard motor with an internal pump-jet. During the mid-’60s, he sold his idea to the snowmobile manufacturer Bombardier, but after it, too, failed to gather momentum, the company gave it up. Jacobsen then sold his patent to Kawasaki, which produced its first model in 1973 and named it the Jet Ski. But because it was a stand-up personal watercraft, the Jet Ski didn’t manage to draw in the masses since it was somewhat difficult to maneuver, especially in choppy waters. The breakthrough came several years later when newer models were designed so as to let pilots sit, thus drastically increasing its stability. Furthermore, it was now possible for two people to enjoy the ride instead of one, and thus the social element was added into the mix. Bombardier later got back into the game by creating their own line of personal watercrafts known as Sea-Doo. In fact, these Sea-Doos are the best-selling watercrafts in the world, surpassing even the Jet Ski. Yamaha is on the market with its own WaveRunners,while Honda entered the business in 2002 with the AquaTrax. This might come as a surprise to many – it certainly did for us – but Bubble Wrap was originally invented to be some sort of high-end wallpaper. Yes, back in 1957, two New Jersey engineers by the name of Alfred Fielding and Marc Chavannes began by sealing two shower curtains together and trapping air bubbles inside – thus giving their new wallpaper idea its unique texture. Unfortunately (or not), their wallpaper business didn’t take off, and they began looking for other possible uses for their idea, including looking into greenhouse insulation. And while Bubble Wrap does, in fact, have some insulating properties, this new venture didn’t pan out well either. 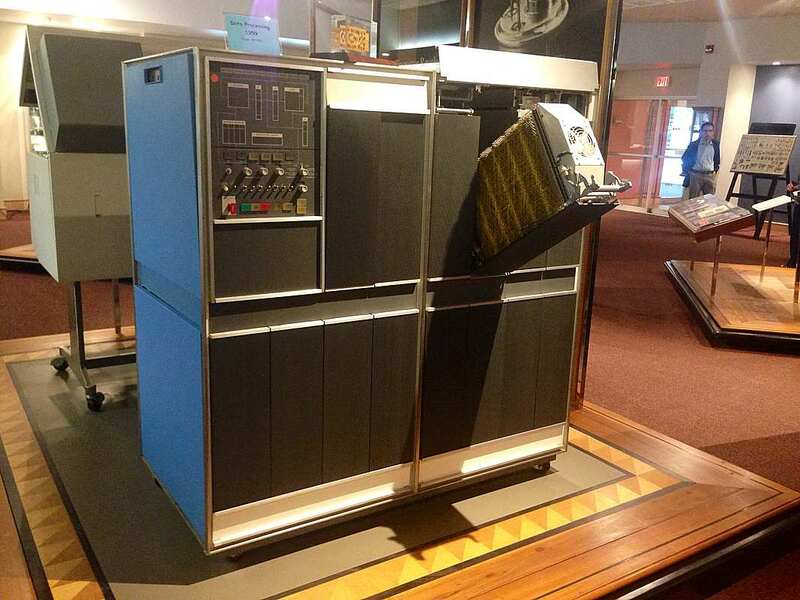 Not wanting to give up, Sealed Air Corporation’s marketer, Frederick W. Bowers, struck a deal with IBM in 1959 to package their new 1401 computers, and they’ve been making millions of dollars annually ever since. Recently, however, in a move reminiscent of a Bond villain, the Sealed Air Corporation has decided to renounce the original Bubble Wrap and begin producing the unpoppable iBubble Wrap. But even though this move might seem like something done just for the sake of making the world a little less entertaining and fun, there’s some logic behind it. As it turns out, Bubble Wrap takes up a lot of space when it’s in storage – something that’s a big problem for many of their customers. The new iBubble Wrap is shipped and stored completely deflated, thus taking up just 1/15th the space. Companies that use it can now inflate their iBubble Wrap on their own when they need it, but because it no longer has individual air bubbles, but rather rows of bubbles connected to each other, they are no longer poppable. Without the humble dumpster, our towns and cities would probably be a lot messier than they are today. 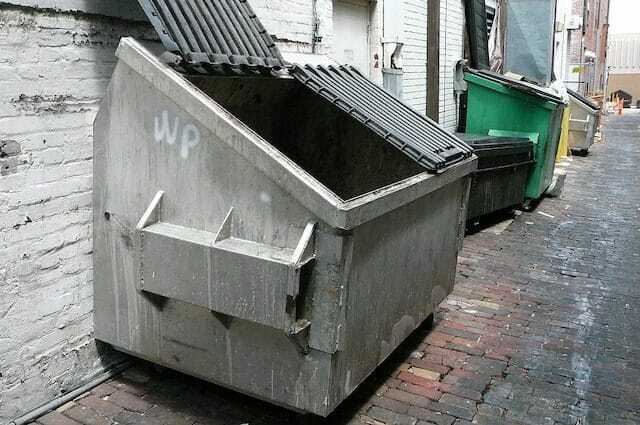 Over the past 80 years, the dumpster has become a common sight throughout the United States, and many other designs of these frontloader containers, as they are called, have been in use throughout the world. The first time the word ‘dumpster’was used commercially was back in 1936, when the Dempster Brothers Company from Knoxville, Tennessee, trademarked the term. The word itself is a combination of those brothers’ name, Dempster, with the word ‘dump’ – being used for their most successful front-loading container. The novelty of these garbage containers were their side arms that allowed another of this company’s inventions, the Dempster-Dumpmaster garbage truck, to lift them up and dump their contents directly inside. This streamlined the whole garbage disposal process by up to 75% of the original time, when garbage was usually being collected by horse-drawn carts. Now, even though this idea spread throughout most of the world, the actual trademark Dumpster didn’t. The British and Australians do sometimes call their ownfrontloader containers dumpsters, but the wheelie bin and skip terms are more commonly used. 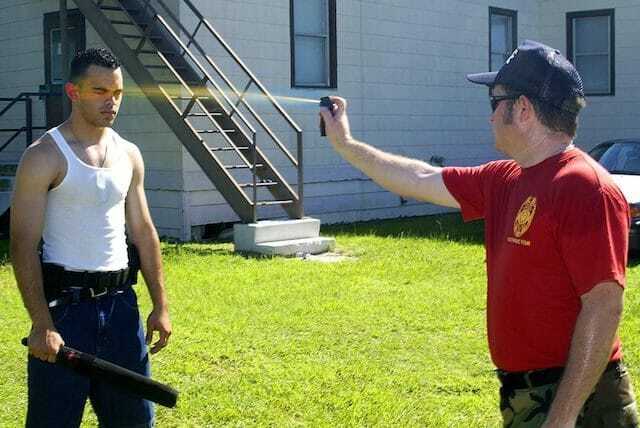 When it comes to personal defense, pepper spray, more commonly known as Mace, is among the best weapons to have on your person. It incapacities without killing or seriously injuring someone, and its backstory is based on the same idea. Chemical Macecame into existence in 1965, after Allan Lee Litman, an inventor living in Pittsburgh, alongside his wife, Doris, came up with the chemical formula and means of dispersal. It’s important to mention that other similar pepper sprays existed before the Litmans got into it, but they oftentimes fell short, either by accidentally afflicting the sprayer, or taking too long to activate and deter the attacker. Prior to starting work on Chemical Mace, Allan Litman was working on such inventions such as the “waterless egg cooker” and the “bacon cooker,” but with very limited success. Nevertheless, after one of his wife’s friends told them about how she got mugged while coming home from work, they began discussing what self-defense weapons a woman could have at her disposal in such a situation. The two then began experimenting around the house with various chemicals such as kerosene, Freon, and sulfuric acid as propellants for aerosol spray cans, as well as a wide array of irritants. They finally settled on chloroacetophenone – a chemical highlighted by the military as being a potent tear gas during WWII. Initially calling it Tear Gas Aerosol Spray Instrument, or TGASI, they eventually decided on Chemical Mace – in reference to the spiked club of medieval times and the effects it had on a person’s face; though without the actual physical harm and, y’know… crushed skull. The two inventors then opened a business known as the General Ordnance Equipment Corporation and began selling their Mace to the public. Now, its active ingredient wasn’t something new, but the fact that the Litmans managed to repackage a chemical weapon as a civilian product was – and its success was almost instantaneous. In 1987, Litman accepted an offer from the gun manufacturer Smith & Wesson to buy the company, and he became director of their nonlethal weaponry research. The active ingredient has since changed to oleoresin capsicum, which is less toxic and has a faster incapacitating property. “Those who cannot remember the past are condemned to repeat it,” and this rings especially true in reference to today’s opiate epidemic and the appearance of heroin on the world stage. As most of us know, heroin is a Schedule I controlled substance, known in the pharmaceutical industry as morphine diacetate, or simply, Diamorphine. Diamorphine was first synthetized in 1874 in England, but it took another 23 years before it became popular. Chemist Felix Hoffmann, working at the pharmaceutical company Bayer and the aforementioned inventor of Aspirin, was looking for a safer and less addictive alternative to morphine in 1897. It, uh… didn’t work out like he planned. He was hoping to produce codeine by acetylating morphine, but instead ended up with diacetylmorphine, which is two times more potent. The head of Bayer’s research department reportedly came up with its name of Heroin from the German word “heroisch” – meaning ‘heroic’ in English and implying the drug’s strong effects on its user. Bayer then began sellingdiacetylmorphine under the trademark Heroin and marketing it as a safer and non-addictive substitute to morphine, as well as a cough suppressant. Its primary consumers were middle and upper-class women, who bought it for their medicine cabinets. It took 17 years before the US government began regulating it, and yet another 10 years before people realized Heroin’s actual effects and the United States banned its sale, importation, and manufacture. One year after that, in 1925, the Health Committee of the League of Nations also banned it, but it was in 1930 when all of its other derivate analogues were also banned. After WWI, Bayer lost its trademark rights over Heroin as part of the 1919 Treaty of Versailles. 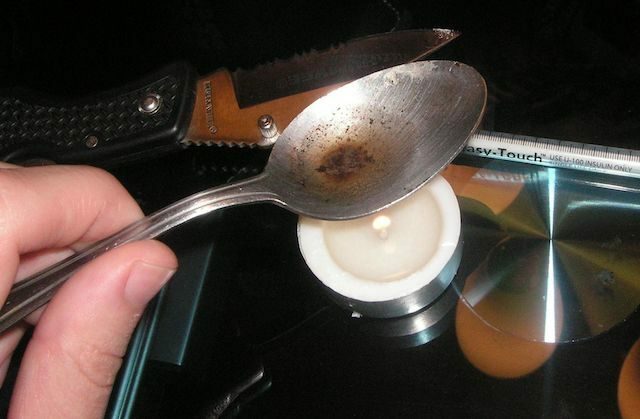 The US went through two major heroin epidemics after that: the first after WWII, and the second during the Vietnam War. Today, however, with various opioids being loosely prescribed by doctors around the country, heroin use has also seen a fivefold increase over the past decade. Hello, I really like the way you have your blog set up. Very educational. keep it coming.